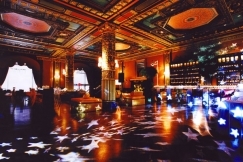 Initially launching in the 1930 as the Grand Ballroom of the adjoining Edison Hotel, The Edison Ballroom re-opened in 2008 after a broad remodel that saved its unique pizazz and craftsmanship deco style. 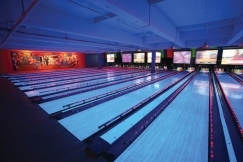 Situated in the core of Manhattan, just seconds away from Times Square, this multi-level venue is equipped for facilitating any sort of private occasion: weddings, Bat and Bar Mitzvahs, corporate holiday parties, red carpet events, fashion shows, and larger corporate functions like launch parties and conferences. 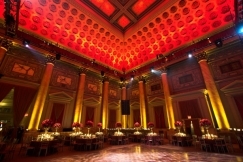 With an outstanding catering menu arranged by VIP culinary specialist Mina Newman and the accomplished guide of proprietor Allan Wartski, The Edison Ballroom is maintaining traditions that began years back and keeps on delivering the ideal ambiance for all events. Mina Newman is the culinary specialist behind the inventive menu that led the Edison Ballroom's menu to become award-winning. Before joining the Edison Ballroom group, Mina was the culinary expert of Drew Nieporent's Layla and managed a few other eateries, getting to be noticeably one of the main female gourmet specialists to accomplish superstardom. Additionally, Mina was the owner of an accomplished catering company that worked with major names like J. Crew, Citigroup, and Judith Ripka, the jewelry designer. In 2009, Mina was the winner of a well-known cooking show competition named "Chopped", which airs on the Food Network. 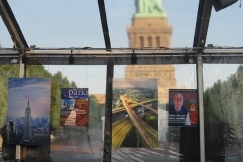 The Edison Ballroom is not only spacious but also offers a multi-level site in the heart of Midtown where many corporate events take place. The venue is armed with a 40-ft. stage, top-of-the-line sound and lighting system, and a 200-inch projector screen. 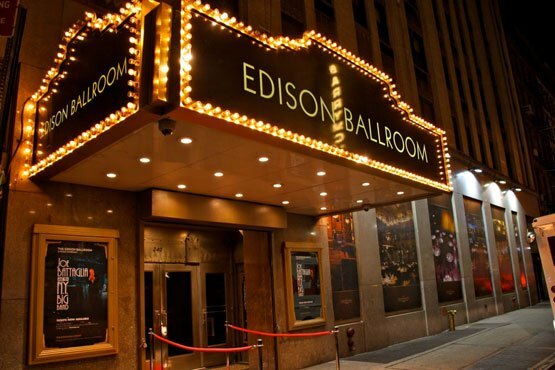 The Edison Ballroom is the perfect venue for corporate events, including conferences, meetings, award ceremonies, business luncheons, celebrations and more. 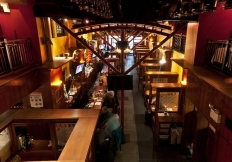 The Edison Ballroom staff is dedicated to excellence through its cuisine, offering a diversity of custom menus arranged by award-winning Executive Chef Mina Newman. 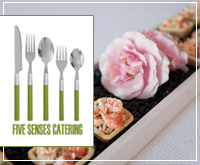 The venue’s skilled team and proficient waitstaff provides the perfect setting for all events and keeps clients coming back every year for their corporate events. 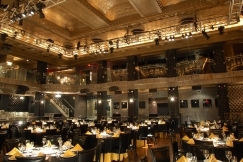 The Edison Ballroom is an elegant, multi-level venue in the heart of Times Square, New York City. With three separate spaces and a maximum capacity of 1,100 people, The Edison Ballroom is the ideal venue for medium to large sized holiday parties. Holiday-themed décor can even be made available for parties upon request. The Edison Ballroom’s Executive Chef Mina Newman continues to impress guests with her food at every event. 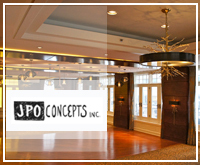 The location also offers its multi-million-dollar lighting and sound system completely free of charge, making The Edison Ballroom one of the most sought-after venues in Manhattan. 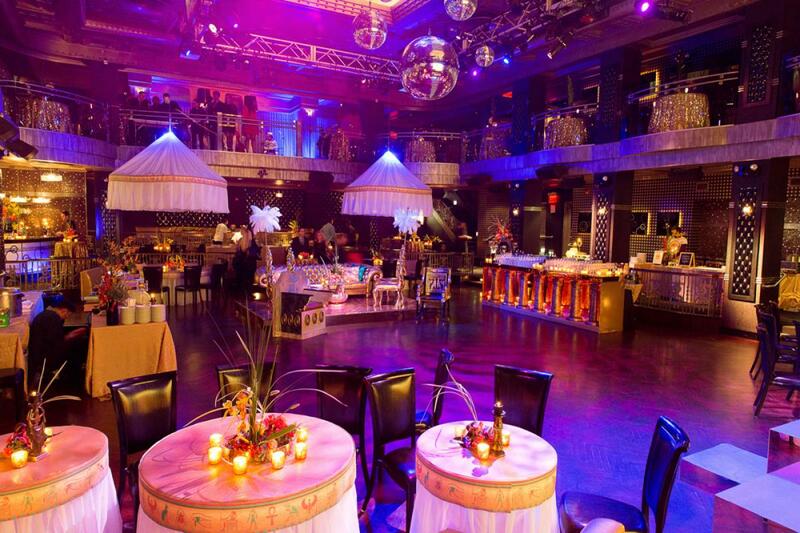 With corporate clients returning year after year for the holiday season, The Edison Ballroom is keeping its promise of delivering contentment one event at a time. 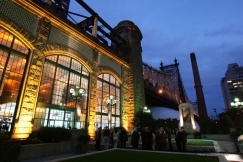 The Edison Ballroom is a stylish and classy wedding venue that exemplifies old New York at its best. With its silver and gold hues, luxurious leather walls, floodlit glass tiles, and majestic crystal chandeliers, the venue can be best described as a modern twist of art deco flair. This venue provides the perfect setting for distinguished, yet edgy couples who are searching for an alternative to the typical lacy white wedding venue. With three detached rooms that can accommodate over 300 guests for a sit-down dinner, The Edison Ballroom is the perfect choice for any sized wedding. On-site services are also available upon request. Due to its immense stage and state-of-the-art lighting and sound equipment, The Edison Ballroom has been coined one of the best venues in NYC for live music. Celebrity Chef Mina Newman, can customize any wedding menu. She will do anything from incorporating the bride and groom’s traditions into the menu to recreating distinct family recipes. With its flawless service and qualified events team, The Edison Ballroom endures its promise of delivering joy one event at a time.